Jingle shell scientific name Anomia Ephippium. Common thread of the Jingle shell is fragility, bivavles and a large hole in the lower right valve. The animal extrudes a plug thru this hole to cement itself to hard objects. The internal ligament lies in a crescent shape pit. The she when knocked together the valves jingle. The Jingle shell molds itself to the object it adheres to. 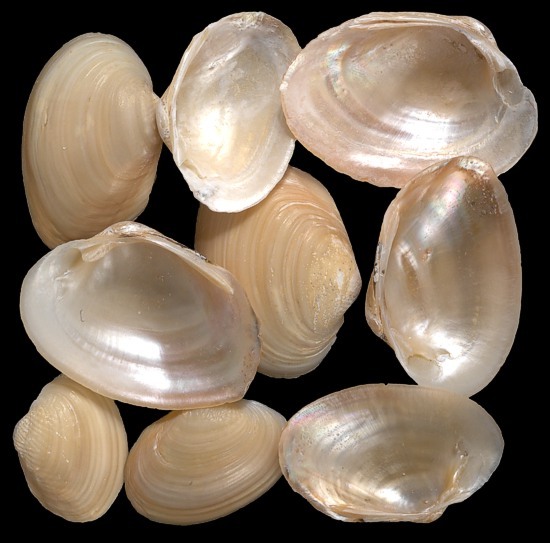 These shells are found in the Eastern Atlantic Ocean in shallow water. Although, bivalves are two matching upper and lower shell we are selling these as non matching single shells.